This is our 1/2 oz. Black Gator Weedless Spoon with Sky Blue Worm Trailer. This is our 1/2 oz. Black Gator Weedless Spoon with Root Beer Worm Trailer. This is our 1/2 oz. 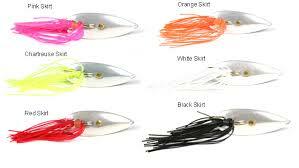 Black Gator Weedless Spoon with Pink Skirt Trailer. This is our 1/2 oz. 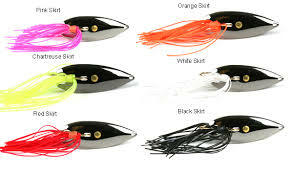 Black Gator Weedless Spoon with Black Skirt Trailer. 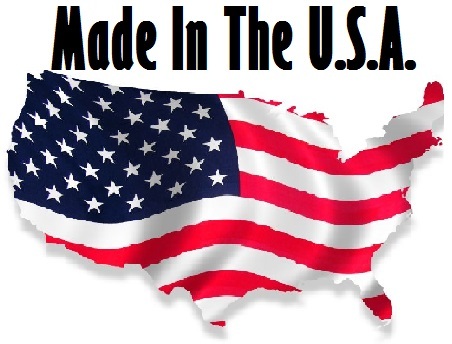 This is our 1/2 oz. 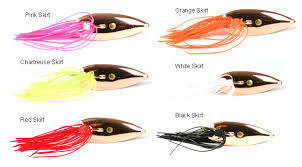 Black Gator Weedless Spoon with Orange Skirt Trailer.